Well all the ingredients for another camera based smartphone was set by Samsung few weeks ago. And they have completed the episode with official introduction of Samsung Galaxy K zoom (not Samsung S5 zoom) few hours ago. Why they've used 'K' instead of 'S5'? Because according to Samsung 'K' is the representation of 'Camera' here! And like its predecessor, the Galaxy K zoom combines a regular smartphone with the hardware of a point and shoot camera. And i have to say this 2nd generation of zoom camera/phone is way better than the first one. The Galaxy K zoom has a 20.7 megapixel 1/2.3 BSI CMOS sensor and a 10x, 24-240mm F3.1-6.3 zoom lens with optical image stabilization (OIS). 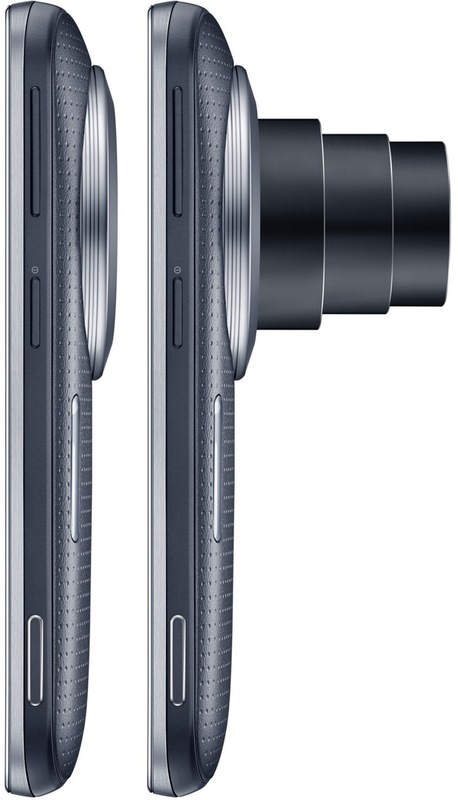 The phone has a xenon flash with an LED autofocus assist. On the front is a relatively humble 2 megapixel camera. The international K zoom packs 2GB of RAM and one of Samsung's hexa-core Exynos chipsets combines quad-core 1.3GHz and a dual-core 1.7GHz processors. We don't have to be an expart to predict that the pair is much slower than Samsung Galaxy S5 chip. Galaxy K zoom has 8GB of internal storage and a spacious 4.8-inch 720p screen and 3G+LTE radio as well. The Samsung Galaxy K zoom camera has the ability to shoot 1080p video at 60 frames per second and a slew of software features that aim to make your on-the-go photos less terrible. Of course the phone has microSD card slot upto 64GB card support with 2430mAh battery. Android you also have the latest Android 4.4 KitKat out of the box. 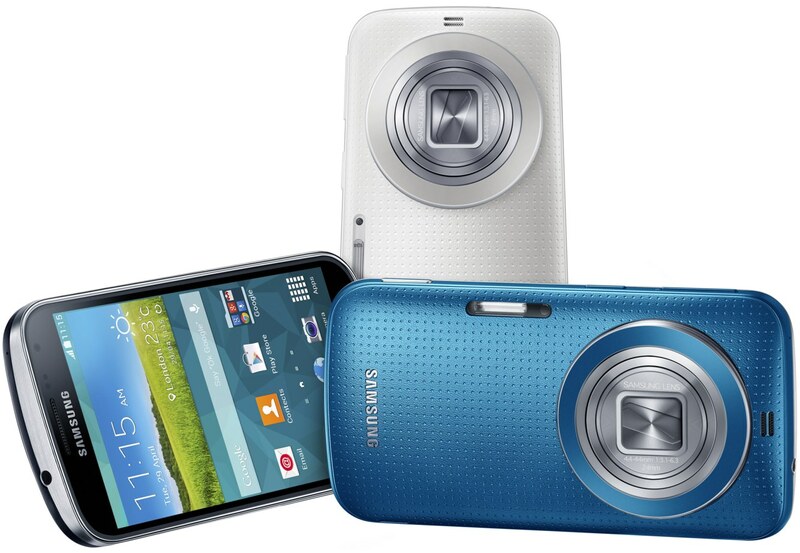 The Galaxy K zoom will be available in black, white and blue. Price is still unknown. But you can be certain about its worldwide release. Read the Samsung press release for further details. The new device also integrates the most advanced camera usability features and functions, including AF/AE Separation (Auto Focus/ Auto Exposure Separation) for the precise balance of light and clarity, next-generation Pro Suggest mode which offers 5 optimized filter settings, Selfie Alarm that allows users to take timed selfies with ease, and object tracing for a clear, focused shot of a moving subject. Each feature comes with a simple User Interface, allowing users to easily capture photos and videos with groundbreaking quality, in any situation.